S�neca Hostel is placed in the heart of Juder�a neighborhood at two minutes walking from Mezquita-Catedral of C�rdoba and it was one of the first accomodation in the city specialized in backpackers. It offers 12 spacious and comfortable bedrooms decorated in an andaluz style and equipped with bathroom, heating, air conditioning, wardrobe, telephone,and free wifi connection. 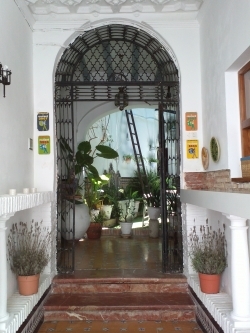 Also, the lodging has an andaluz yard, a terrace, kitchen, towels, autochecking machine, luggage, snack-bars� . 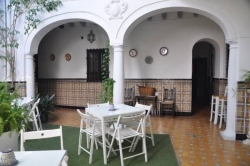 you can taste a breakfast or lunch in the traditional cordob�s yard or enjoy in the terrace. Due to its excellent location, you may eassily go walking to the main touristic monuments as Mezquita, Puente, Templo Romano, Alc�zar de los Reyes Cristianos or Puerta de Almod�var. 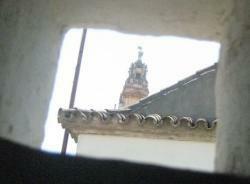 C�rdoba is at 144km from Sevilla, 159km from M�laga and 116km from Ja�n. Built in 1978, renovated in 2000.